It is essential to see the eye doctor every year. At Warm Spring Optometric Group in Fremont, our optometrists will do more than check your visual acuity. They will also test your eyes for certain diseases and conditions. 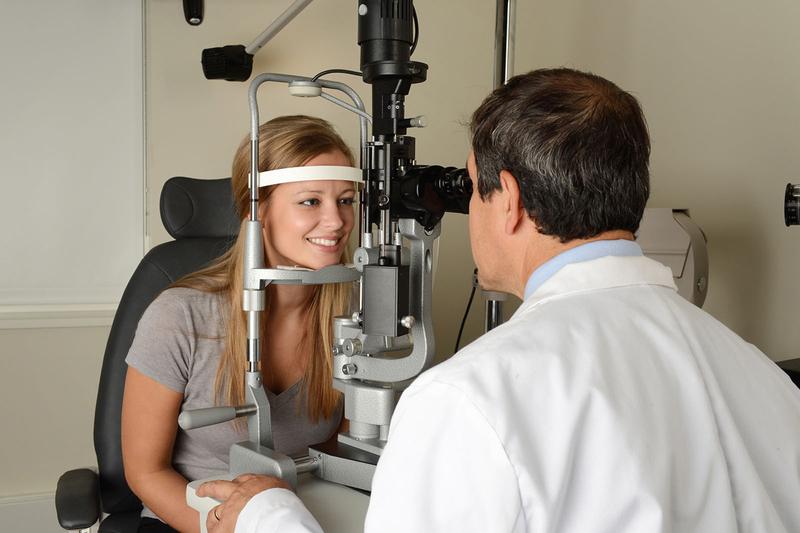 There are a few common conditions that our optometrists test for and manage. Cataracts are common conditions of the eye. The older you get, the higher your risk is of developing this condition. Over time, protein deposits can build up on the lens of your eye, making your vision appear cloudy. In mild cases, our optometrist will prescribe a stronger eyeglass or contact lens prescription. In more severe cases, surgery would be necessary. The surgery is very routine. Our doctor would remove your dirty natural lens and replace it with a clear artificial lens. Glaucoma is a very serious disease. If it is not treated early, it can result in permanent blindness. Since there are no early symptoms of glaucoma, you should have an eye exam every year. Glaucoma occurs when the pressure in your eye increases, causing damage to the optic nerve. This damage can result in loss of your peripheral vision. Without treatment, it can cause tunnel vision and then blindness. There is no cure for glaucoma; however, treatment can slow the progression of the disease. Macular degeneration is the leading cause of vision loss. This condition occurs when the central part of the retina begins to deteriorate. Age-related macular degeneration is the most common type, and there are three stages. In the early stages, there are no symptoms or vision loss. By the late stage, vision loss is noticeable. There is no cure for this condition; however, there are treatments available to slow the progression of the disease. Diabetic retinopathy is a common complication of diabetics. The longer you have diabetes, the higher your chance is of developing this condition. Also, if your diabetes isn’t controlled, you are at higher risk. This condition occurs when the blood vessels in your eyes weaken. This can cause blood and fluid to leak into the retina. This condition cannot be reversed, but treatments are available to slow the progression of the disease. If left untreated, diabetic retinopathy can result in permanent vision loss. Dry eye can cause red, watery eyes. This eye disease can also cause itching, burning, and the sensation that there is something in your eye. This condition occurs when your eyes don't produce enough tears. Age is a common cause of the condition. There are also certain medical conditions and medications that cause this disease. In some cases, artificial tears can treat the condition. In more severe cases, implants or surgery would be necessary. Schedule an Appointment with Our Eye Doctor Today! Since many eye diseases show no early symptoms, you should make annual appointments with Warm Spring Optometric Group in Fremont. Our eye doctors can provide eye disease management treatments to ensure healthy eyes.